From when we were small girls, most of us dream of “The One,” our future husband. We think about what it would be like to be a bride. We wonder who that special guy is and when we’ll find him. The great news is that what you do now can make a difference in your life and the life of your future husband! Authors and good friends Robin Jones Gunn (Christy Miller series) and Tricia Goyer (author and former teen mom) believe God answers women’s prayers for husbands—even husbands they may not meet for years. They invite young women to pray boldly for their future mate … while also asking God to prepare their own hearts. In Praying for Your Future Husband, Robin and Tricia share their two vastly different experiences, including the things they did right and the mistakes they made on the path to meeting and marrying their husbands. 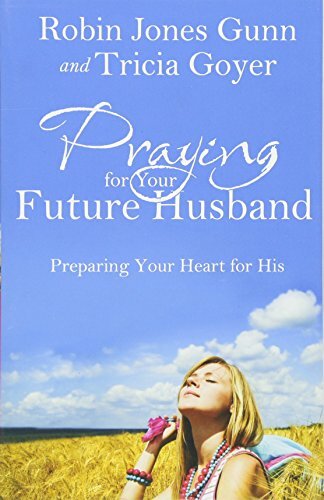 Each chapter includes helpful Bible verses, prayers, and practical application, along with true stories of women who prayed for a husband and how God answered in remarkable ways. God has a beautiful romance prepared for you. Prayer is the key to unlocking the love story … with your future husband and with God, the lover of your soul.